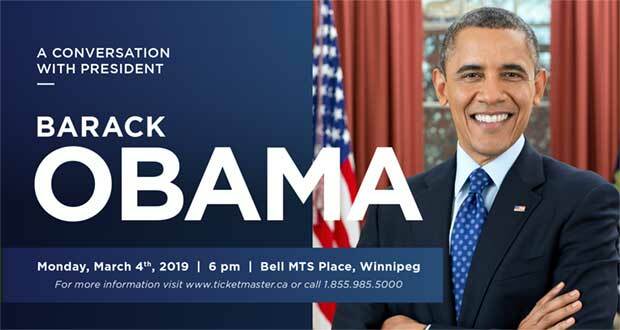 TINEPUBLIC is pleased to announce “A Conversation with President Barack Obama” in Winnipeg on Monday March 4th 2019 at Bell MTS Place. In times of great challenge and change, President Obama’s leadership ushered in a stronger economy, a more equal society, a nation more secure at home and more respected around the world. The Obama years were ones in which more people not only began to see themselves in the changing face of America, but to see America the way he always has – as the only place on Earth where so many of their stories could even be possible.